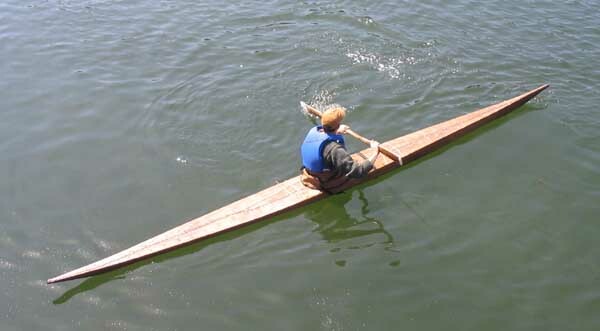 The original kayak is in the Greenland National Museum (KNK 1161), and was transferred there from the Rijksmuseum voor Volkenkunde in Leiden, the Netherlands in the 1980s. It measures 17'9-5/8" long and 15" wide, with a depth to sheer of 6-1/2". 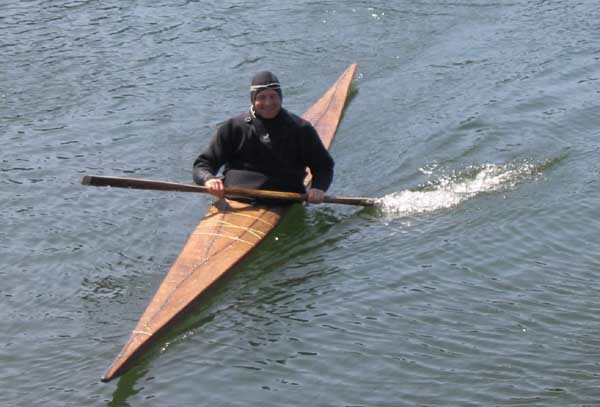 While this is the narrowest kayak I have made, it is manageably stable, and really only took an hour or so to feel comfortable in. It feels very fast-- as if there is no boat holding you back; it is as if you are flying through the water. In waves, however, you are flying through the water quite literally-- it is a very damp ride, and the kayak seems to not feel like climbing waves-- just punching through them. 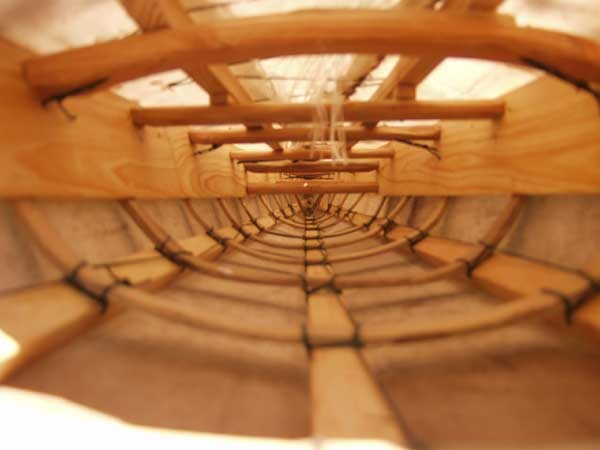 A scale drawing of this kayak appears in Kayaks of Greenland. Forward interior view of the KNK 1161 replica.